I am an authorised celebrant and am committed to ensuring your ce﻿remony is both meaningful and memorable. I travel all over south-east Queensland from the Gold Coast, Sunshine Coast, Darling Downs and Brisbane Bayside suburbs. 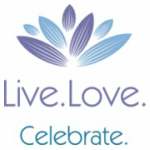 As a professional celebrant, I have a passion for celebrating life, love and happiness which is my motivation for becoming a celebrant. I am friendly, professional and a great listener and would love the opportunity to talk with you more about how I can help you. It would be a privilege to be part of your day.